Looking for an easy, low-carb breakfast recipe? 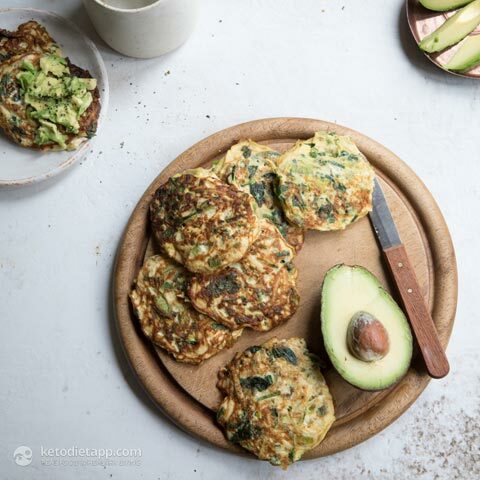 These Keto Green Goddess Fritters topped with heart healthy smashed avocado are a great way to start the day. Packed full of nourishing greens, cream cheese and a little chilli, they’re the perfect balance of flavours that will keep you satisfied until lunch. Heat 1 tbsp of olive oil in a saucepan. Add the leek and fry on a low-medium heat for 3 minutes. 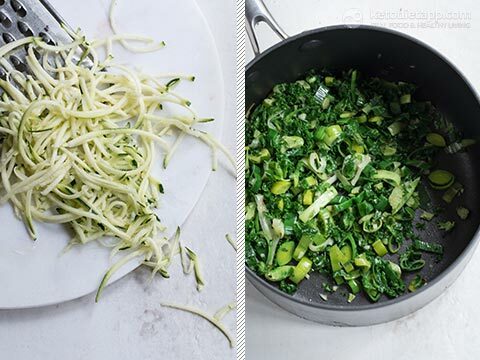 Add the garlic, spinach and kale and fry for 1 further minute. 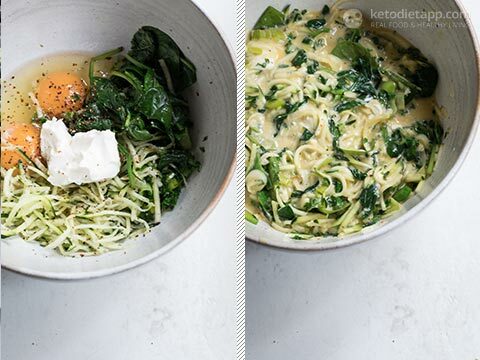 Place the eggs, kale mix, cream cheese, chilli flakes, grated courgette, salt and pepper in a bowl and mix well. Coat the bottom of a frying pan with 1 tsp of olive oil or ghee. Spoon 1 heaped tablespoon of mix per fritter into the pan, 3 fritters per pan, and fry each side for 1 minute on a low-medium heat until golden. Repeat adding 1 tsp of olive oil per 3 fritters until all the mix has been used up. Smash the avocado with lemon and cracked black pepper. Serve the fritters topped with avocado. Best eaten fresh but can be stored in the fridge for up to 3 days. I have lots of frozen greens(spinach & baby kale) , do you think I can use them , probably add some coconut or almond flour to get the texture? Yes, I think you can use any greens - just make sure to squeeze any excess water once thawed. If the batter is too moist, you could add a tablespoon of coconut flour. I hope this helps! It amazing! I'm kin of zucchini fritters, and made it regularly. But this recepe wow! This recipe looks so great! I’m excited to try it. For tracking purposes... is the avacado included in the nutritional value of this recipe, or is that an optional addition that I should track separately? 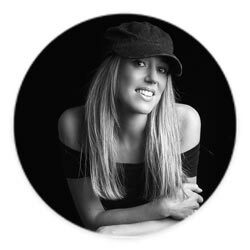 Thank you Ann! All ingredients are included unless they are listed as "optional" - So in this case all listed ingredients are included in the nutrition facts. 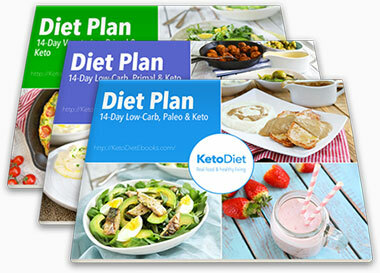 I’m a Keto beginner. Your recipes look scrumptious! 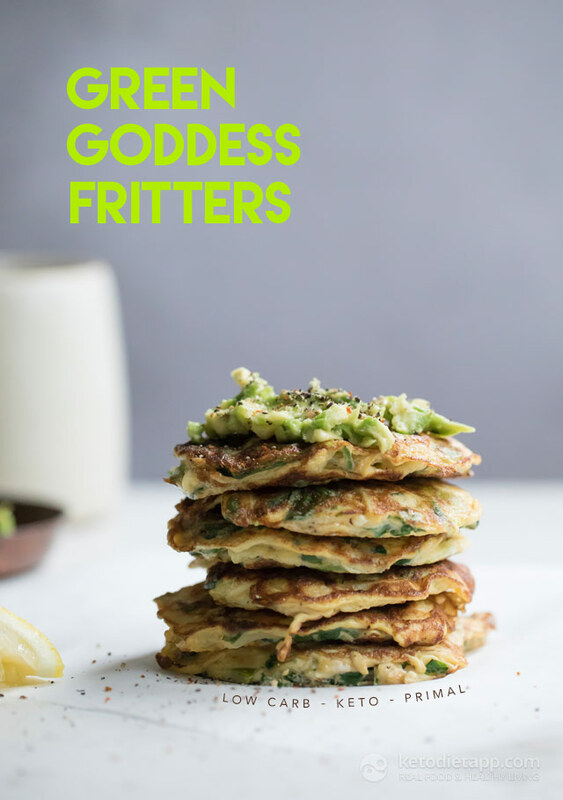 I have an egg allergy though and I am wondering what I could use as a substitute in these Green Goddess Fritters? I bake a lot using ground flax or “chia eggs”... but it’s difficult to find subs in breakfast recipes. Any advice for egg-Free Ketoers? Thank you! Hi Yemaya, I think that the "flax egg" would be the best substitute. I made a similar recipe using flax and water (1 tbsp flax with 3 tbsp of water per egg). It won't be the same but it's the best substitute. Hi, is there a substitute for the cream cheese for those of us who are dairy intolerant....please something other than coconut cream cheese! Would it work with coconut oil?